If it’s not one thing, it’s another with this pup. 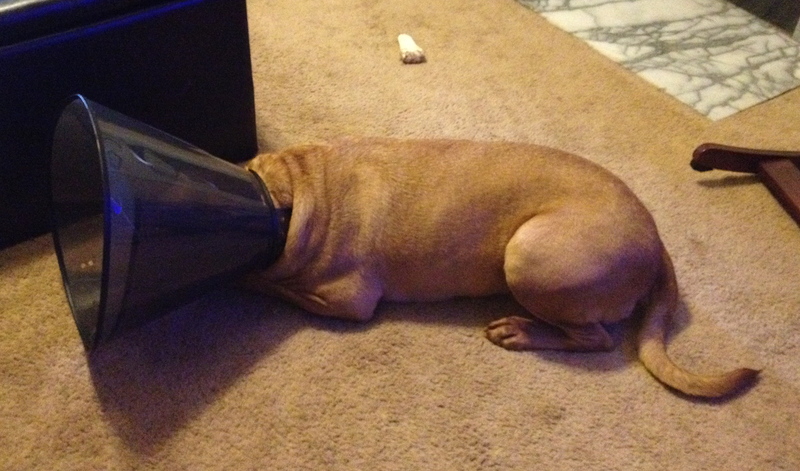 Boyd’s had more than his share of ailments and vet appointments. We’ve been through a slew of ear infections, skin allergies, a staph infection, and stomach sensitivities (which resulted in prescription food, for a time). His ear infections have been a constant in our lives and are usually worst in the spring and fall (which leads me to believe it’s some kind of environmental allergen that’s causing them). He’s been scratching at his ears a lot lately (and whining miserably, poor guy), and we’ve been trying to keep up with his ear drops, which help clean out his ears and soothe the itchiness. Last night when I gave him his drops, I noticed one ear was really swollen. JD and I were immediately concerned, and JD took him to the vet this morning. We confirmed that he has a hematoma (broken blood vessel) in his ear, most likely caused by all the scratching and head shaking he’s been doing. The excess blood caused the area to swell. So, back to the vet we go tomorrow (we are, by far, their best customers), so Boyd can go under anesthesia, get his ear drained, and get some meds to help prevent infection. 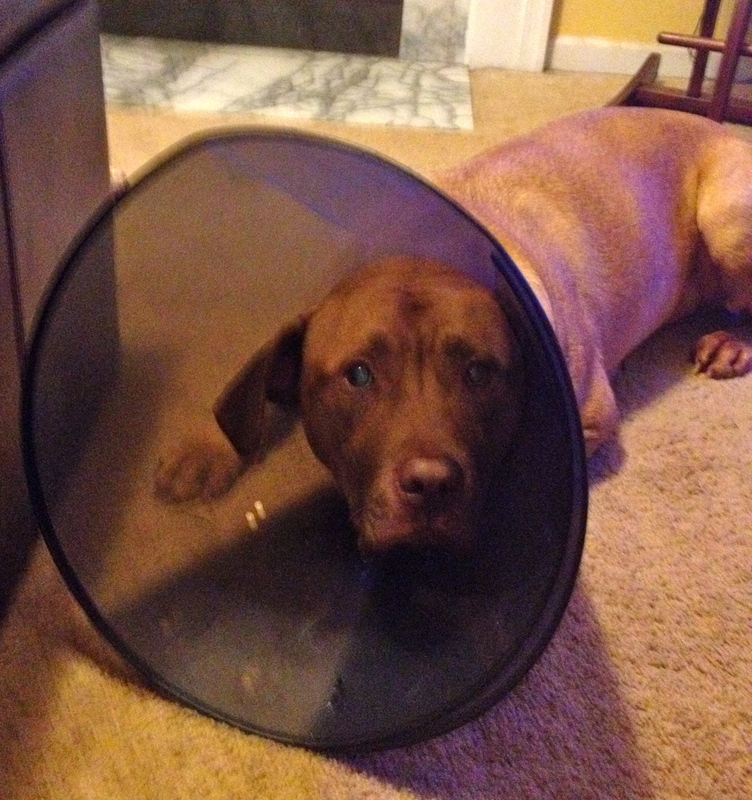 For now (and until his ear heals), he has to wear one of those fun cones around his head. Understandably, he is not impressed. I just hope he knows how much we love him, and how hard we’re trying to make him feel better. If not, at least he’s always quick to forgive and forget. This entry was posted in Dogs and tagged Dogs. Bookmark the permalink.